What can you do with your new bollards? If you are concerned about the perimeter security of your commercial or residential property, you have undoubtedly heard about bollards. Bollards can be used in a wide variety of security settings including schools, government properties, and airports. 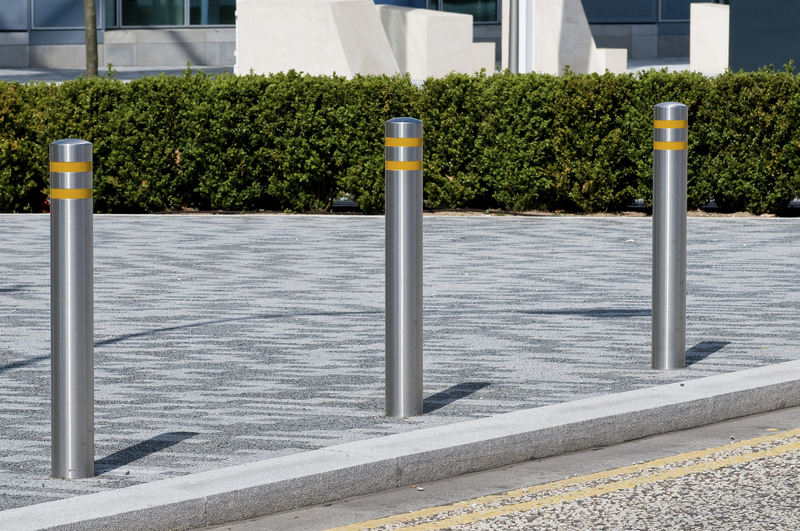 Here are some of the most common settings for bollards and why they are the perfect option for each type of perimeter security. Airports have many areas that can benefit from bollards as part of their perimeter security. Many airport locations have traffic constantly flowing in and out, so it can be tough to keep the right people in (and the right people out!). Parking lots are especially good locations for bollards, as fast driving vehicles with anxious and late airplane passengers can cause a lot of problems. Major and even minor accidents can compromise the security of your airport and draw valuable personnel away from more compromising areas, so it is crucial to minimize the possibility of accidents occurring. Bollards can regulate parking lot traffic without security staff. Shopping malls can always benefit from additional perimeter security, as they have many people and stores vulnerable to outside threats. Upscale shopping malls have valuable merchandise that could be enticing to burglars looking to commit smash and grab crimes. Bollards installed outside of the stores can prevent a vehicle from smashing into the front of the store and criminal activity. Bollards can also be used to regulate parking lot traffic. Removable or temporary bollards are great options for malls hosting special events. Sports stadiums require surprisingly high amounts of perimeter security to ensure that all of the people watching the game inside should be there, that the people inside of the stadium are safe from outside threats, and that all people attending the game can leave and enter in an orderly and safe fashion. Stadiums with high attendance can benefit from bollards installed in parking lots. Bollards can also be installed around the perimeter of the stadium to prevent any vehicles from trying to enter and to naturally sort and control human traffic. Hercules Fence Northern Virginia has countless fencing options for your business and commercial property. Whether you’re excited for a beautiful vinyl chain link fence or already planning out your custom wood commercial fence, we are ready to help you frame and secure your property. Hercules Fence Northern Virginia has been providing homeowners with quality fences for over 50 years. We are well equipped to meet your needs, whether they are residential or commercial. Contact us to see how a chain link fence can protect your property by giving us a call at 703-551-2609 or visiting us online. To see examples of our work, follow us on Facebook, Twitter, Google+, LinkedIn, Pinterest, and Flickr. This entry was posted on Friday, September 9th, 2016 at 7:21 pm. Both comments and pings are currently closed.